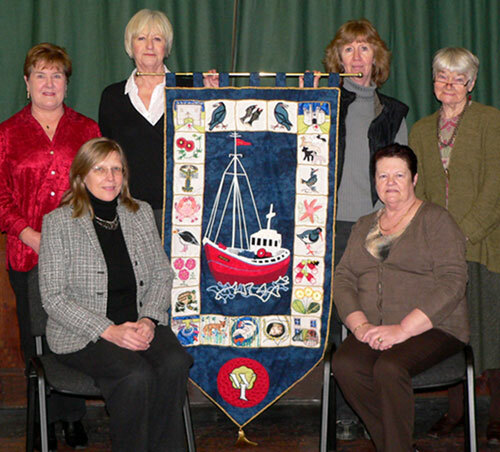 To celebrate Craster WI's 80 th birthday, some of the members planned and created a banner depicting all the attributes of Craster village - fishing, farming, wildlife, flora and fauna - and also its historical aspects. It was a truly remarkable accomplishment, hand worked over a period of months. The banner now has pride of place in the village hall. The WI is very proud of all the work done. Members from years gone by would also have welcomed such a work of art. The spirit of what the WI stands for lives on in new members and is a lasting tribute to the work and initiative of all women.